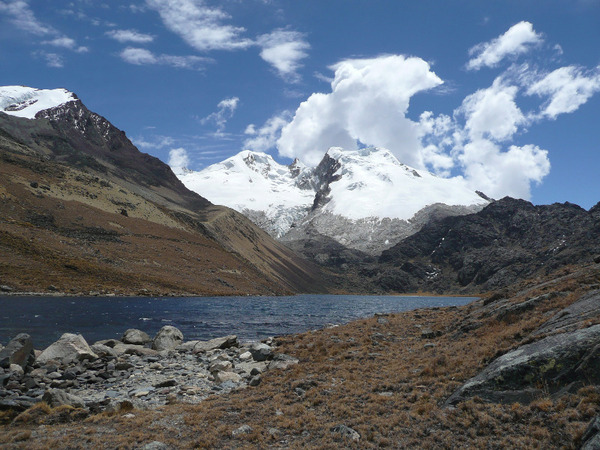 We continue by two weeks of trekking through the Cordillera and finally the attempt to climb the Huayna Potosi (6088m), one of the legendary peaks of the Cordillera. 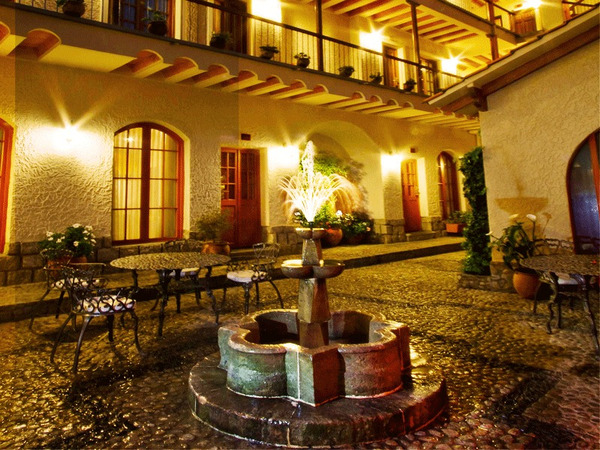 Note: the ascent of the Huayna Potosi is an option. 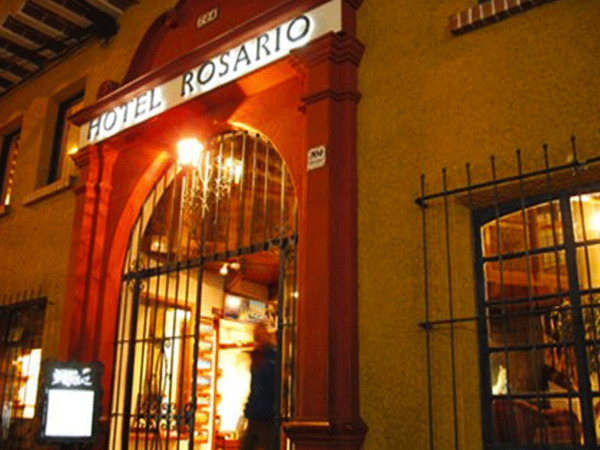 We can also choose to go back to La Paz and enjoy some free time in the world’s highest capital ! 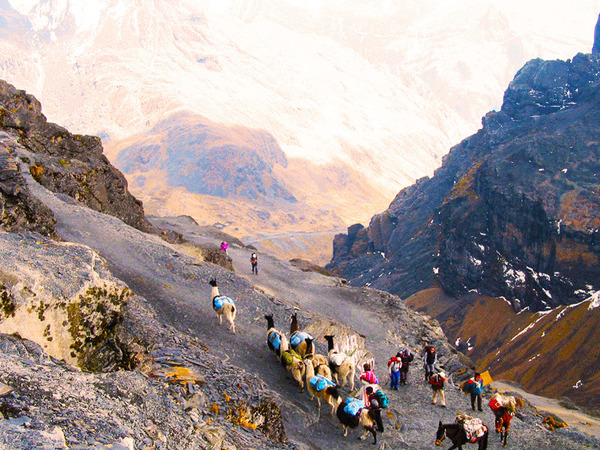 Day 1 : Ascent of the Huayana Potosi Equipment check. Leaving from the Huayana Potosi hut (4700 m el.) 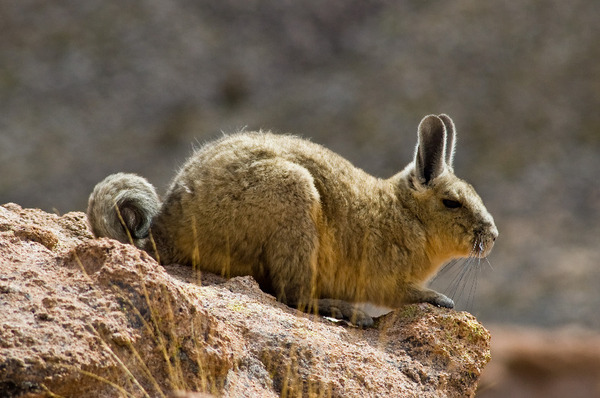 we will climb to the “Rocks Camp” (base camp – el. 5100 m.a.s.l.) on the edge of the glacie in approximately 2 hours. 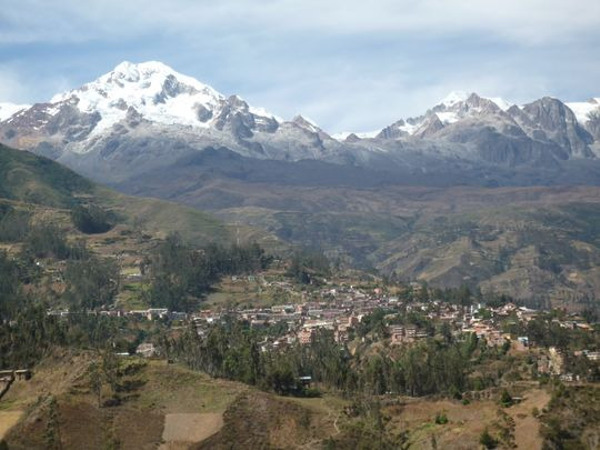 Day 2 : Ascent of the Huayana Potosi Grade II/AD, Max 50°; Start at 02:00 a.m. for a tentative ascent to the summit. 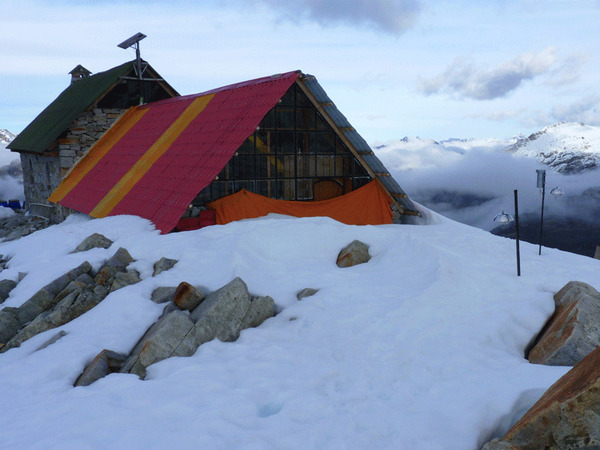 Then descent to the hut (approximately 10 hours return) where we will arrive in the afternoon. Stay in the hut. 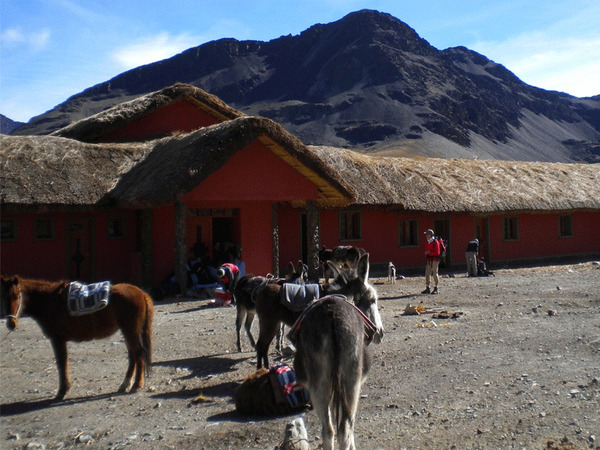 Meet with the porters teams and the mules in the morning. Starting from Sorata we will gradually climb the slopes of the Illampu and pass tiny villages and cultures... We can then observe ancestral techniques being used. 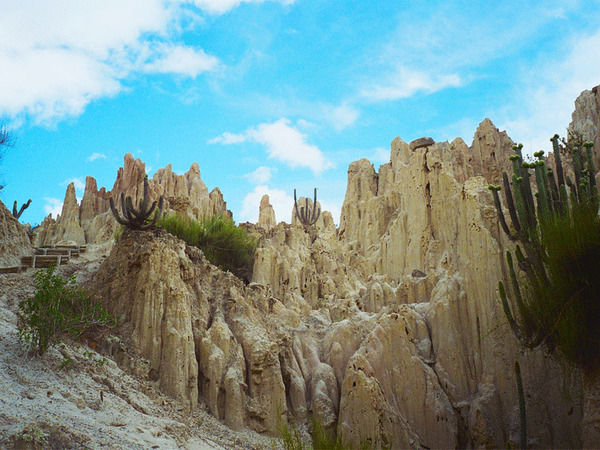 The landscapes will became more and more arid during the climb and the view over the Illampu more and more impressive. 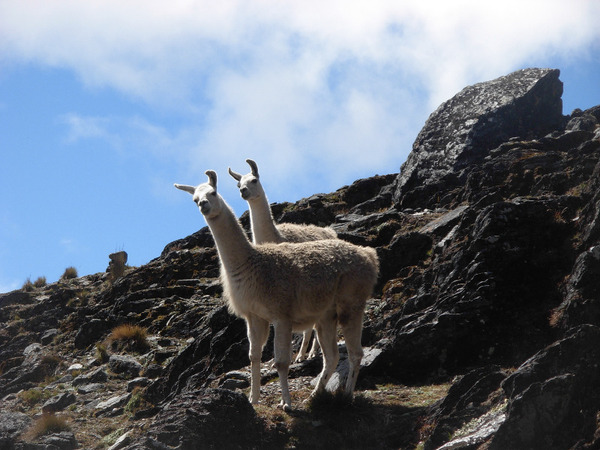 After 6 to 7 hours walking on llama tracks we will arrive to the laguna Chilata. Walking time : 6 hours; Elevation gain: +1600m. Start in the morning to climb to the laguna Glaciar which name is due to the glacier litterally ending in its Eastern end. 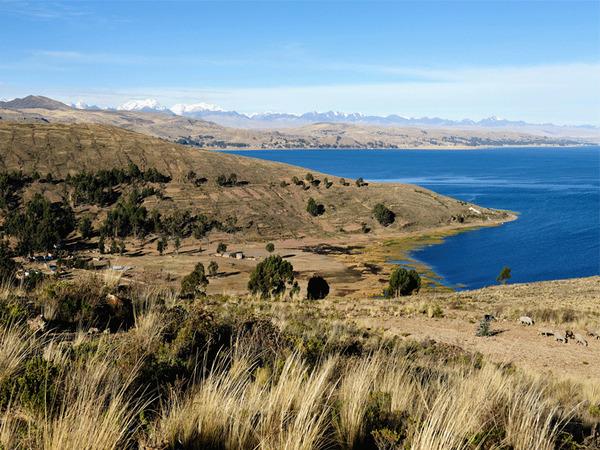 View over the Titicaca lake, the Sorata valley, the Andes... Well worth the effort! Walk down by a steep slope until 4300m elevation. Hiking time: 7h; Elevation gain: +880m / -800m. We will start following a same elevation line around the mountain for approximately 3 hours before reaching a saddle. 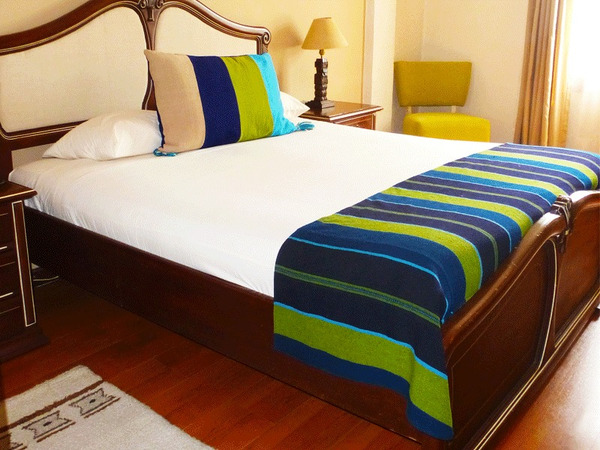 From there we will walk down to the Mina Susana camp. 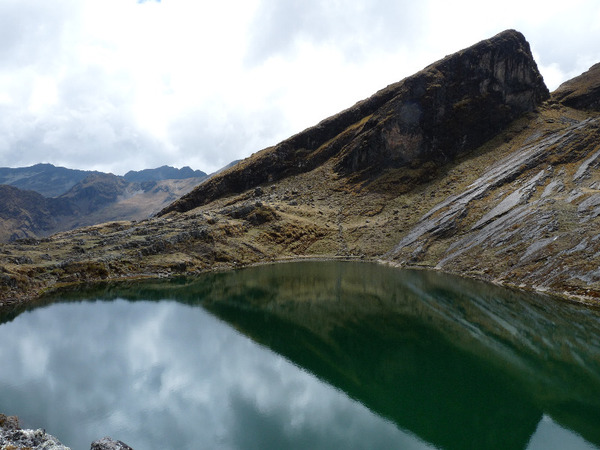 After firstly climbing to the Laguna Kota Pata at 4145m we will arrive to two others lakes at 4300m. Night in a valley near the stream at Lojena. Hiking time: 6/7h; Elevation gain: +640m / -610m. 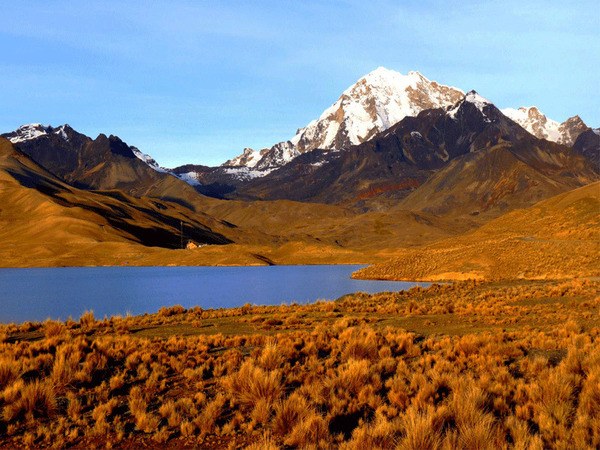 Walking on the mountain´s face we will find a few lakes and then climb to the Chotanlona saddle at 4910m, before walking downto the Laguna San Francisco valley. The view over the glaciers is amazing. Hiking time: 5/6h; Elevation gain: +700 /-560m. We will start climbing towards the saddle at 4920m (2 1/2 hours). 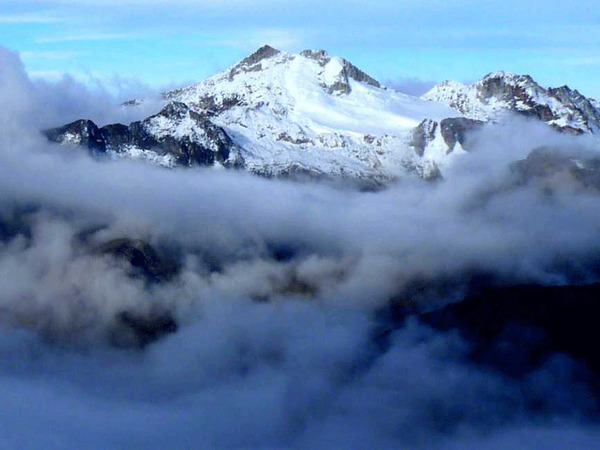 The view over the Ancohuma will appear to sight and we will be surrounded by impressive glaciers. 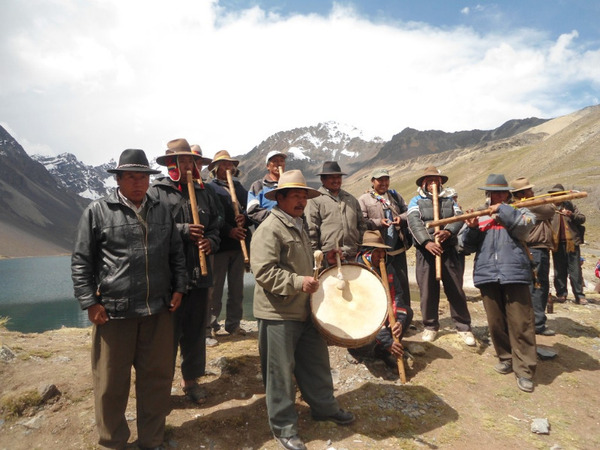 We will then walk down to a first valley at 4785m and climb again to 4980m (1 1/2 hour climb). Another descent to 4870m before walking up to the last saddle of the day at 4980m which will lead to the Laguna Kacha valley (1 hour climb). 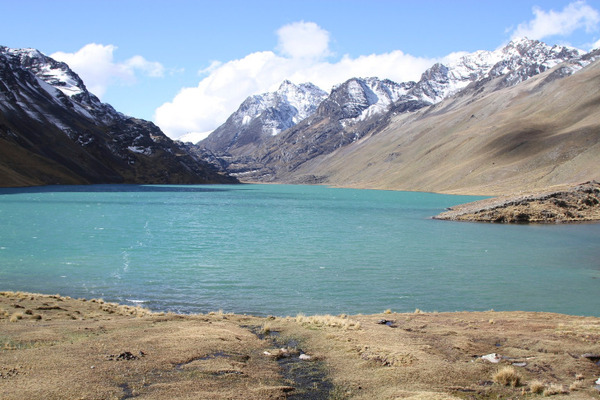 We will then walk down at the bottom of this valley to discover two superb lakes at the base of the Paso Calzada, the Laguna Carizal and the Laguna Chojna Quta meaning Green in Aymara. We will set the camp there. Hiking time: 7/8h; Elevation gain: +745m / -510m. Making the most of the morning to get up to the Calzada saddle and admire from there the two super lakes down. 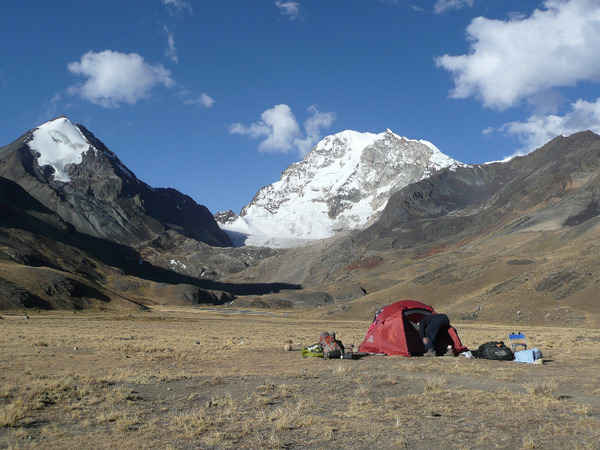 We will follow the valley to the Laguna Khacha and climb to the saddle at 5100m (2 1/2 hours). After following the arete we will walk down to the other valley to the Laguna Jistaña Quta at 4560m which we will reached after 1 1/2 hours. Hiking time: 3 to 4 hours, Elevation gain: +350 m /-515m. 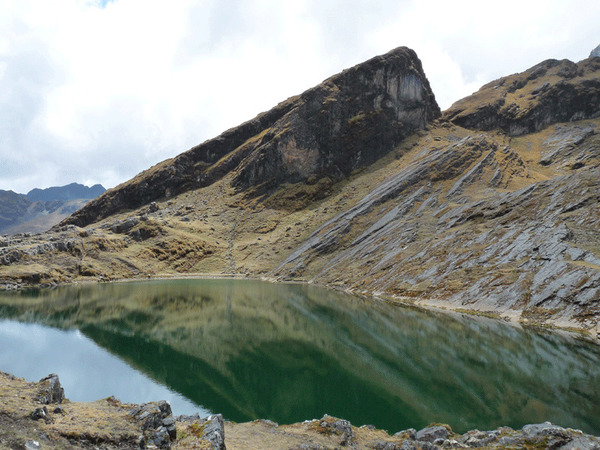 We start to climb the mountainside untl a small lake nestled like a volcano crater, than we reach after 1 hour 30 (4700m). 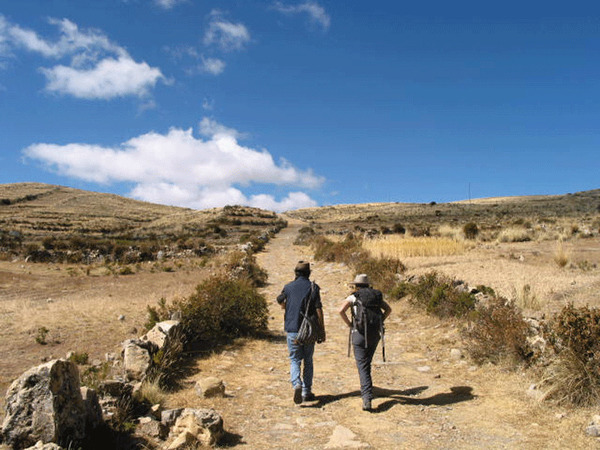 Then the path continues on a contour line along the Altiplano and Lake Titicaca in against bottom. We reach a 4930m neck after 1 hour 30 min. walk. We cross a valley at 4580m (1h30 walking down) and then go back for two hours until a first pass at 4985m. We continue 20 minutes on a contour before joining a steep second pass at 5000m. 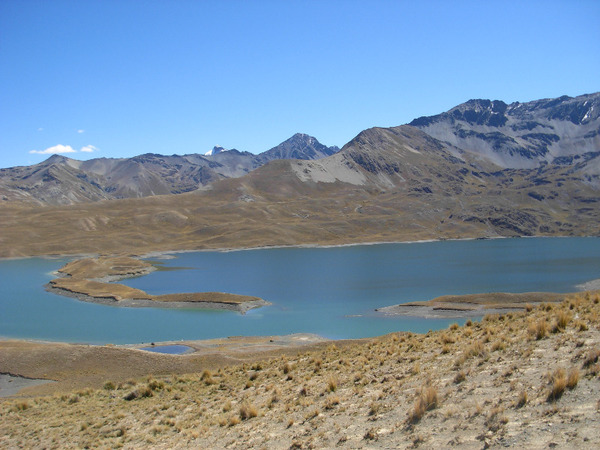 Then deep descent (30 minutes) to a small valley with a lake and its inseparable Huallatas, Laguna Chiscacalliuani to 4820m. Cold lunch. Overnight camping. Walking time 7h. Altitude difference 800m - 585m. 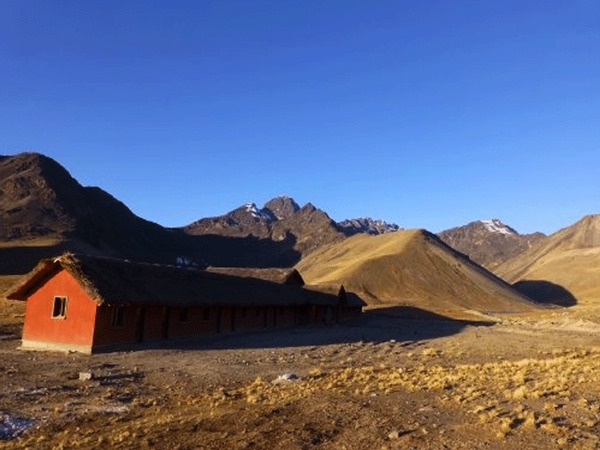 We leave the mountainside to reach the beautiful valley of Chacha Kumani, we reach after 2 hours (4430m). We go up the other side of the valley to a pass at 5000m. For this, we first go up on a first plateau at 4600m after an hour's climb, then a second plateau at 4750 m (30 minutes) before reaching a steep scree to the foot of the pass (4945m). Three hours of climbing in total will be needed to reach the pass (5000m) which offers a magnificent view of the Glacier Chachakumani. We descend into the valley Pura Purani in less than an hour (4750m). Cold lunch. Night in Bivouac. Walking time 6 / 7am: Elevation gain 625m - 680m. Starting the day climbing the mountain and passing 3 consecutive small saddle (el. 4850 m.a.s.l.) separated by flat sections (2 hours). 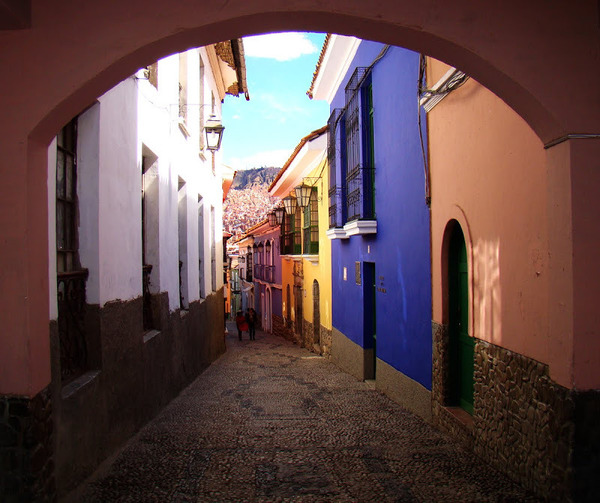 We will then descend into the valley of Rio Jallawaya (el. 4480 m.a.s.l. 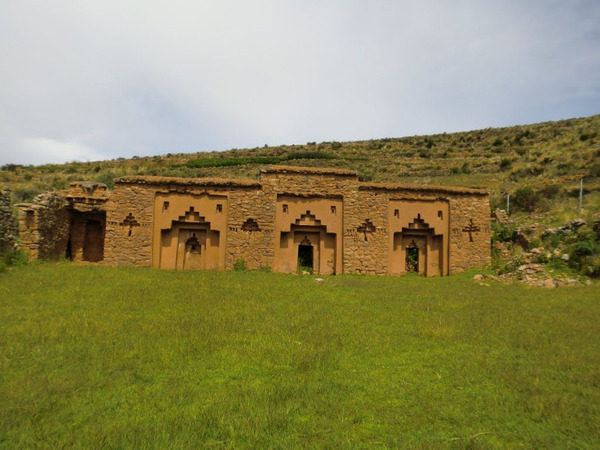 / 30 minutes), and follow the Wara Warani Valley upriver for an hour (el. 4620 m.a.s.l.). We will reach the end of the valley (el. 4700 m.a.s.l.) an hour later. From there, we will made our way up the cliff retaining the splendid Wara Warani Lake at 4930 m.a.s.l. (1-hour). The glacier literally falls into its turquoise waters, a delight!! 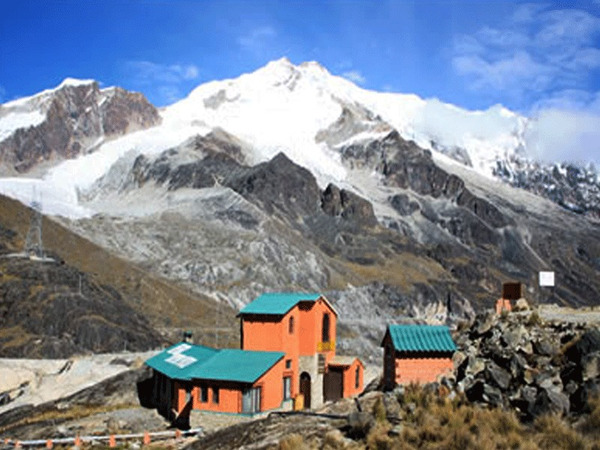 We will reach the saddle after 45 minutes, and view the Kunu Pampa glacier (el. 5050 m.a.s.l.) from there. Back down to the valley in less than an hour, at 4760 m.a.s.l. wher we will camp at the foot of the glacier. Hiking time: 7/8h; Elevation gain: +850m / -820m. 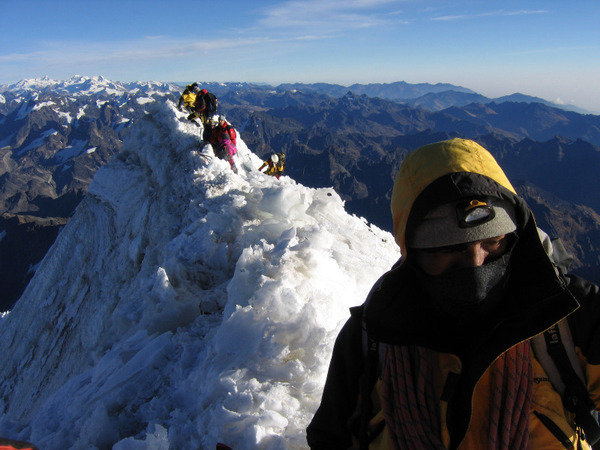 We climb to the Col Paso Minchin located 5000m (2 hours) before descending to Laguna Khotia (4450m, 1 hour descent). After lunch, we pass a neck (Paso Contador, 4760 m alt., 2 hour climb) before crossing a swampy area, near Laguna Surakhota (4450m). 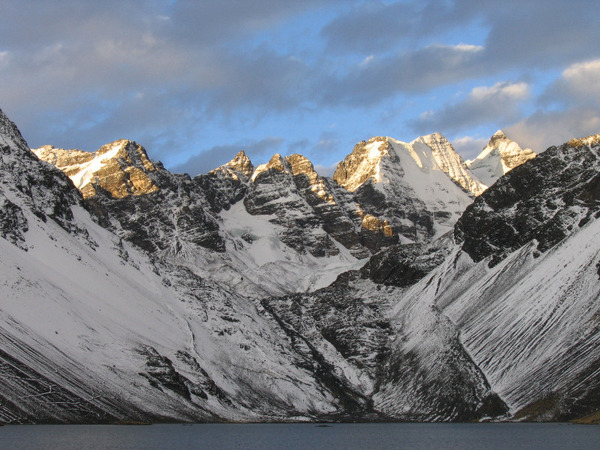 After about 4/5 hour walk from the Laguna Khotia we reach Laguna Ajwani ( "lagoon of the birds", 4650 m. Alt. 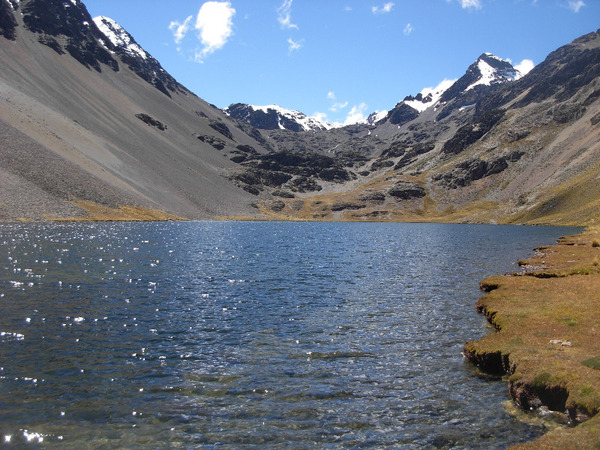 After climbing to a first pass at 4920 meters (Paso Milluni / 1h45), we will walk to the laguna Sistaña (el. 4660 m.a.s.l. / 45mn). Another saddle will wait for us in the afternoon (Paso Janchallani, el. 4900 m.a.s.l. / 1h30), before our last descent of the day towards the Laguna Jurikhota (el. 4700 m.a.s.l. / 1h). Hiking time: 5/6h; Elevation gain: +665m / -560m. 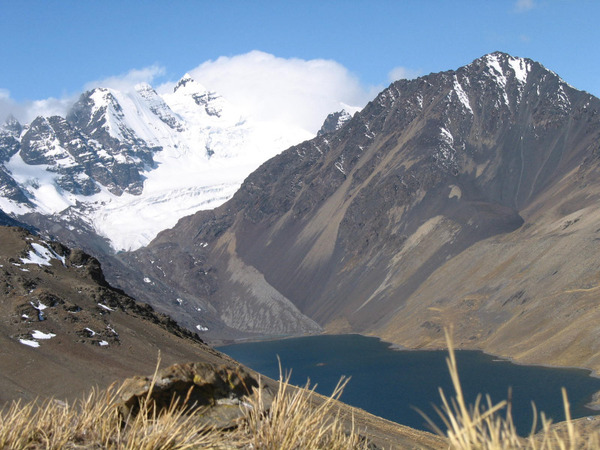 From Laguna Jurikhota, a steep track will take us to the Laguna Congelada, (with two glaciers dropping into its icy waters), a wonder at an altitude of 4900 meters at the foot of El Condoriri (el. 5650 m.a.s.l.). From there we will keep climbing to a second saddle (Paso Austria, 5120 m.a.s.l. 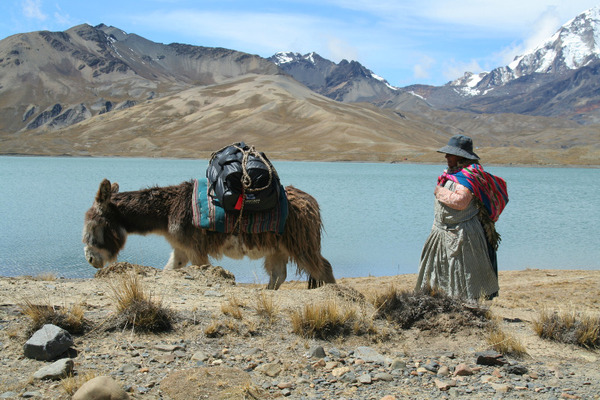 / one hour ascent) before descending on the other side towards El Condoriri and El Pequeño Alpamayo base camp, at the edge of the Laguna Chiarkhota (el. 4670 m.a.s.l. / 1h30 descent). 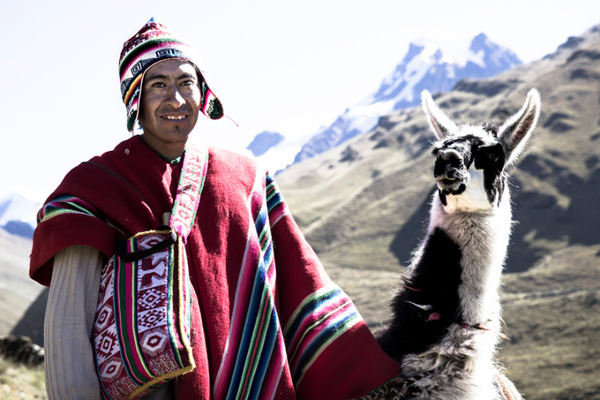 We will leave the Condoriri behind us, and walk towards the Black Needle to reach the Jallayko saddle (el. 5025 m.a.s.l.). 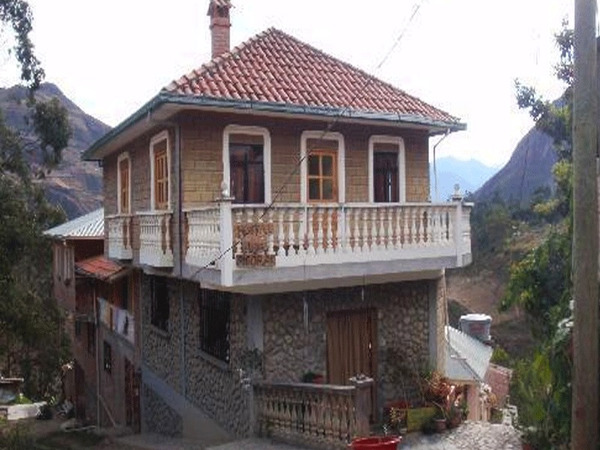 We will then drop into the very beautiful and steep Jistaña Valley, before ascending the Tillipata saddle (el. 5000 m.a.s.l.). 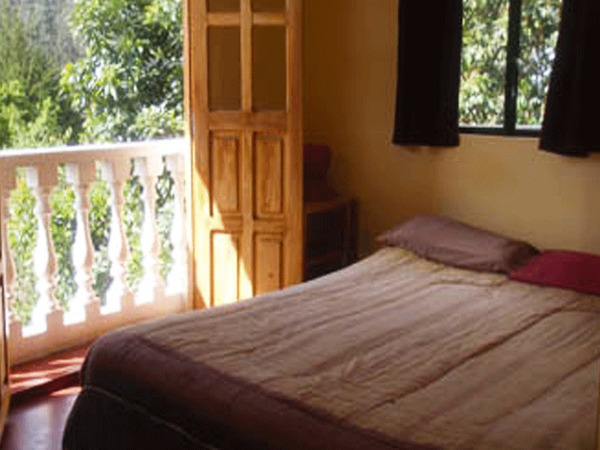 The spectacular view over the myriad of lagunas down below will be great reward for our efforts. 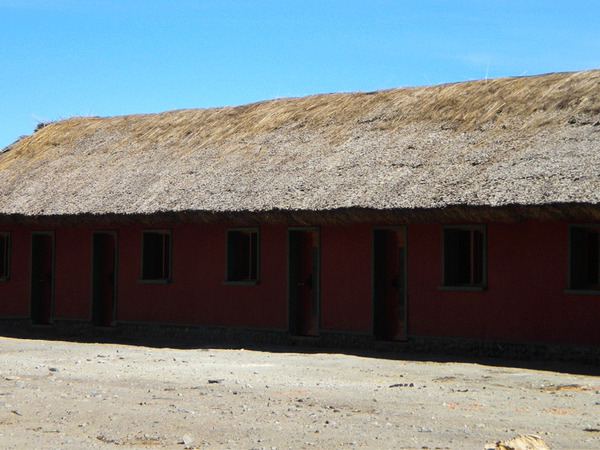 After walking back down to the Laguna Wichu Khota, we will set up our camp, at the foot of the María Lloco (el. 5522 m.a.s.l.). Hiking time: 7h; Elevation gain: +845m / -935m. 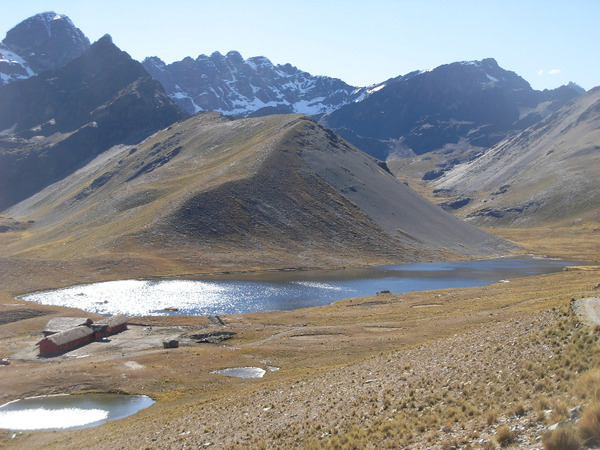 We will walk along the lagunas, until the former camp for the Santa Fe mine. 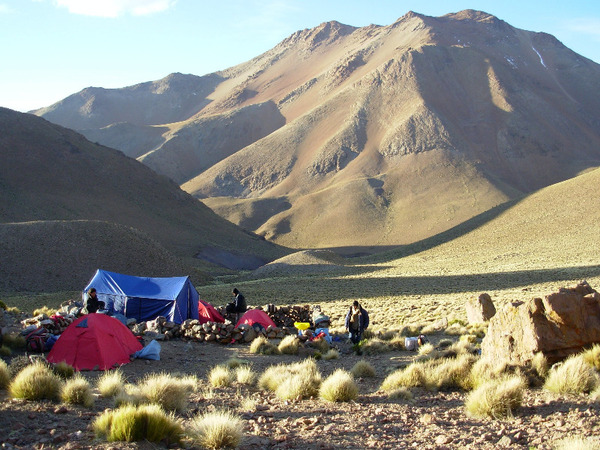 A short detour to a small summit over the camp will give us a nice view over all the lagunas. 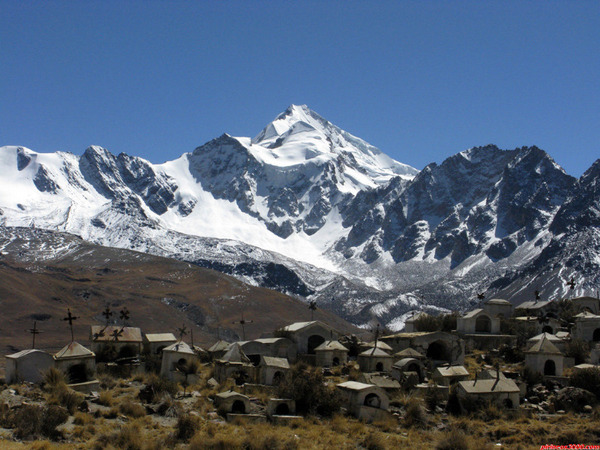 We will then climb to our next camp surrounded by the summits of the Imilla Apachita, the Maria Lloco and the Huayna Potosi (el. 6088 m.a.s.l.). The view is jsut amazing (4/5-walk). 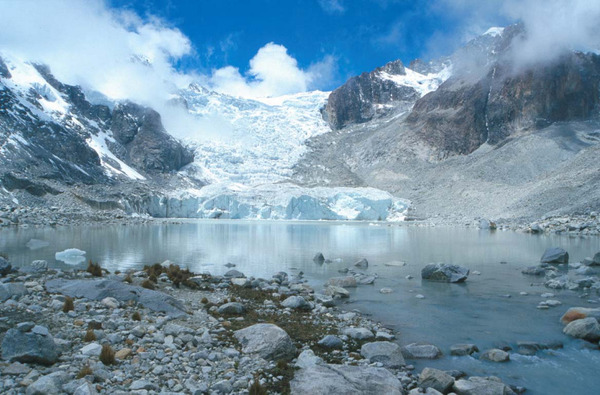 The bravest will have the opportunity to hike to Laguna Glacial del Huayna Potosi. The trail, an former dried out stone channel on the hillside, is wonderfully scenic (2-hour round trip). Hiking time: 6h; Elevation gain: +320m / -200m. Rest day. 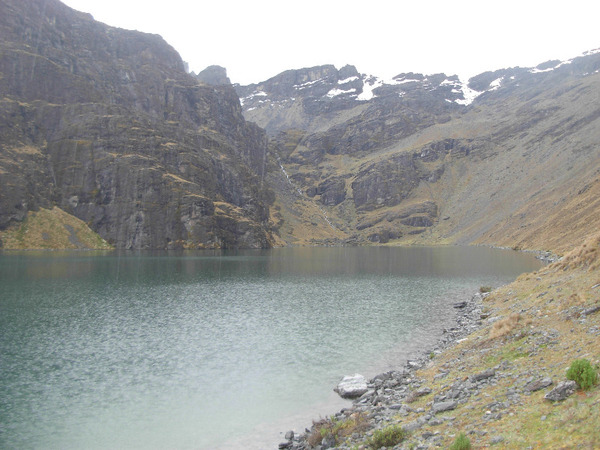 Option to climb to the foot of the glacier of the Huyana Potosi to see the glacier laguna. Hiking time: 4h; Elevation gain: +200m / -300m. 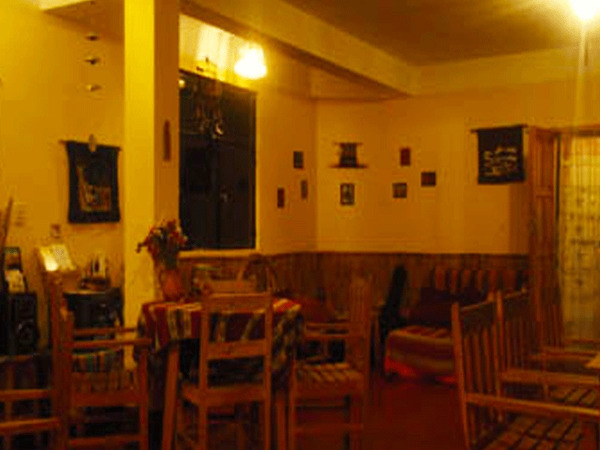 Night at the Huayna Potosí Hut.